I am thrilled to announce that I have found the perfect orange polish for me! By “the perfect orange”, I really mean that it’s the only orange I have actually been brave enough to try on my nails. Surprisingly, I LOVE it! This is three thin (and super quick drying) coats of L.A. Girl Electric Coral with some quick stamping with my JR-17 stamping plate (click to see image and pricing) that Meann of My Online Shop sent me a while back. 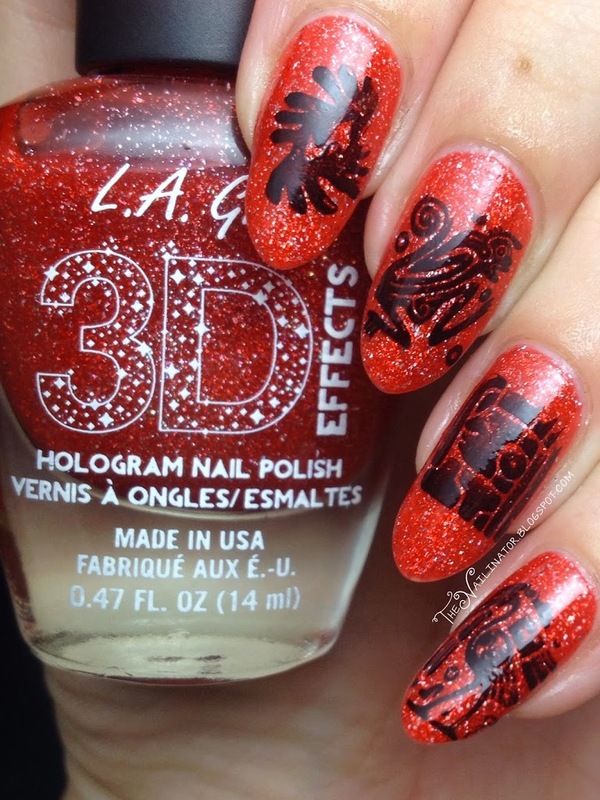 Stamping is a very easy way to add some flair to any manicure. This plate has some really cool and fun tribal prints, and this orange is a perfect base for them IMHO. The black on orange was really eye catching. I have mentioned before how great the L.A. 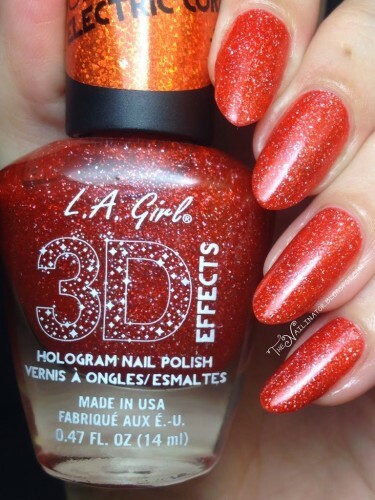 Girl 3D Effect polishes are. I love the colors, the speedy dry time, the awesome holo sparkle, and the easy cleanup. Now that I know, I also have to add that they have great customer service. I ordered several polishes from them while I was in Texas and received one with a bent brush. I noticed the messed-up brush just a week before we left to come back home to the Philippines. So I contacted them and sent them a photo of the brush, and they sent me a replacement within just a couple of days. I appreciate them making and extra effort for speed considering I was on a time crunch. It’s the little things, people! Things are going well for us. Our school year is off to a great start, and my house is slowly getting back to being organized. I hope all is well with you too. Thanks for reading. Have a fantastic day and don’t forget to make someone smile!